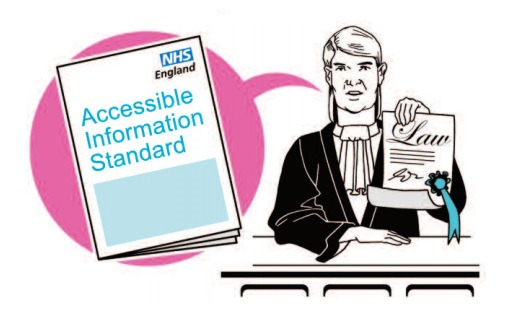 It is a legal duty for NHS organisations, including GP Practices, to comply with NHS England's Accessible Information Standard. The standard ensures that patients, and where appropriate, parents/carers who have information or communication needs relating to a disability, impairment or sensory loss receive information in formats they can understand - as well as appropriate support to help them communicate. It is of a particular relevance to people who are blind, deaf, deafblind or have a learning disability, although it should support anyone with information or communication needs, for example people with aphasia, autism or a mental health conditions which affects their ability to communicate. Please click here for a supporting Easy Read document.